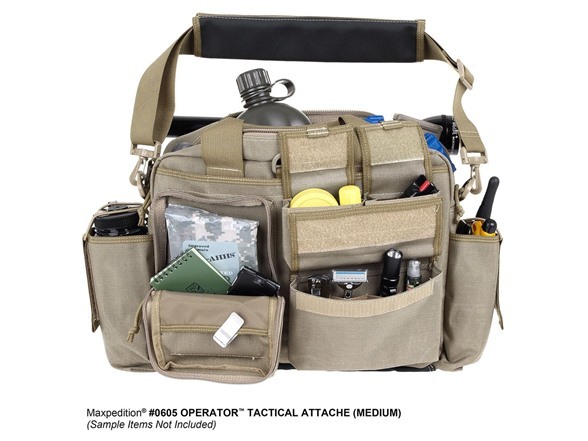 The Operator is the perfect go-bag for the tactical officer. Its fully-padded main compartment is equipped with a removable Hook-and-Loop divider and sized to fit a 15.4" (diagonal Screen Size) laptop and legal size writing pad. 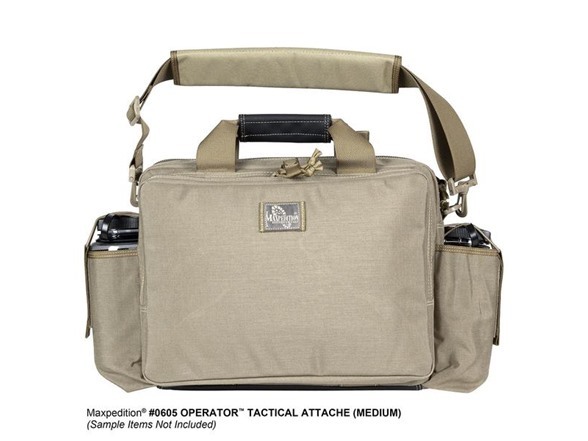 The front side of the Operator has 4 separate pockets in various shapes and sizes to hold and organize your smaller pieces of gear. 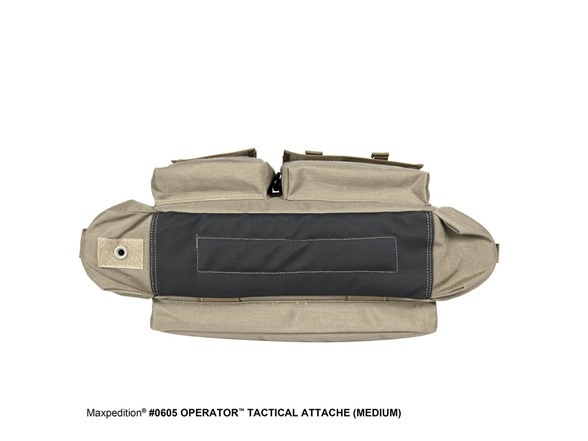 The largest pocket has internal and external sleeves for increased capacity and an ID window. 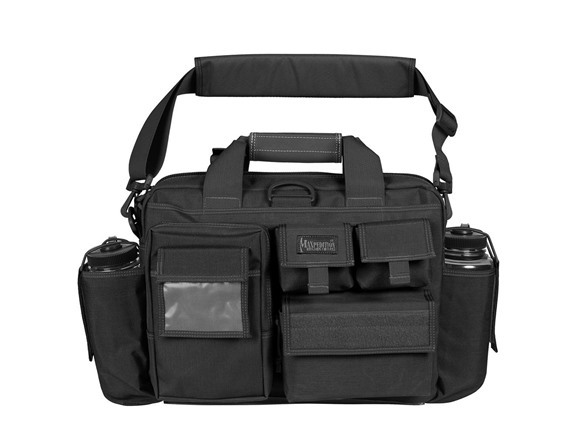 Between the collage of pockets and the main compartment is a CCW compartment lined with internal loop field to accommodate the Universal CCW Holster or UPW Universal Pistol Wrap (sold separately). The compartment is large enough to conceal a full size handgun and 3 spare mags. On the opposite face is a fully padded organizer with extensive internal divisions that opens up to hold documents and / or tools. 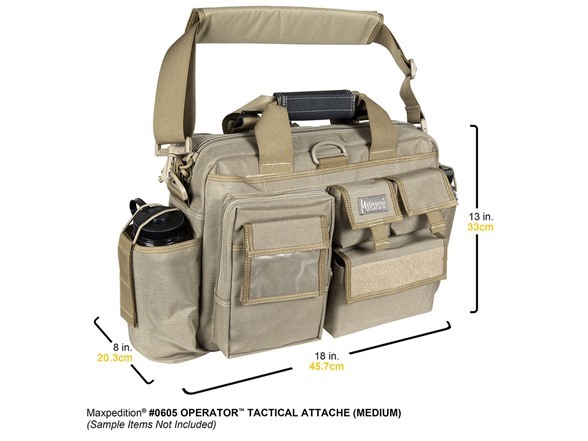 Both sides of the Operator are equipped with cinch pockets fitted for 32oz Nalgene water bottles or radios, there is a radio pocket and a water bottle pocket, both with bungee retention. 2 adjustable Hook-&-Loop retention straps made from 1" webbing for are added for holding a flashlight or baton. 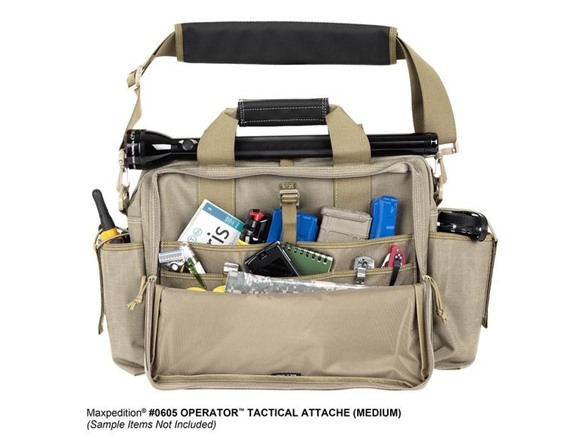 One (1) 14"(L) x 10"(H) internal removable padded divider with 1 side full-loop field lining for CCW or Maxpedition® Hook-&-Loop accessories, 1 side one (1) 8.75"(L) x 6.5"(H) and one (1) 4.5"(L) x 5.75(H) slip pocket.